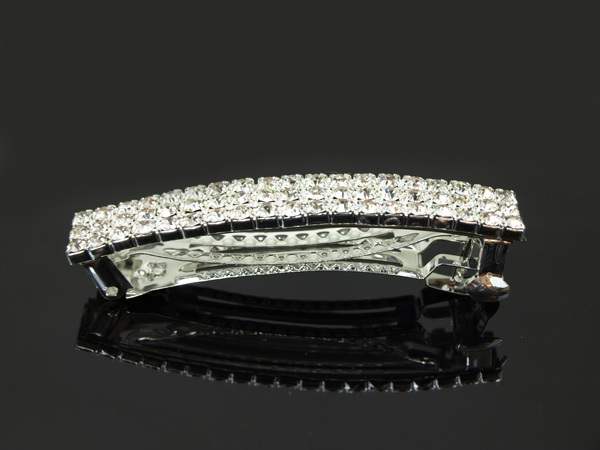 Stunning crystal 3 row hair barrette featuring very strong back clasp and 3 rows of delicate crystals. Measuring approx 8-9cm. Beautiful crystal rose hair clip barrettes. The clips measures approx. 6.3cm wide and are made of crystal/glass. 1 of each colour in set/5. Just a beautifully ornate hair accessory is this metal hair barrette with bling throughout. Approx. measurements are: 9.5cm long x 4.5cm high. Lovely butterfly bling clips featuring beautiful bling butterflies on a very sturdy strong beak clip. Measuring approx. 12cm long. 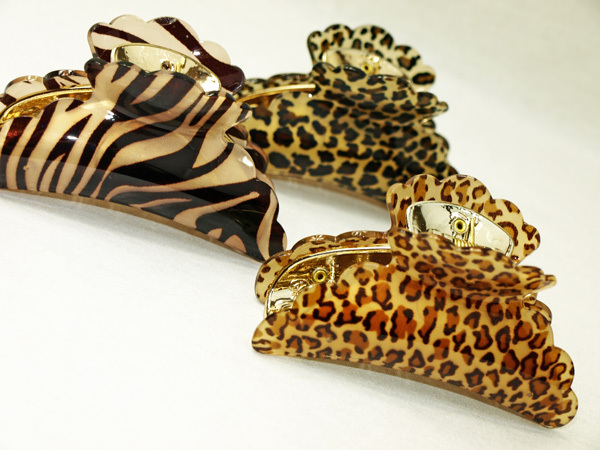 Fashionable 9cm long animal print hair claw set of 3. Each set includes 1 of each design shown.